Leviticus 26:3-6 “If you walk in my statutes and observe my commandments and do them, then I will give you your rains in their season, and the land shall yield its increase, and the trees of the field shall yield their fruit. Your threshing shall last to the time of the grape harvest, and the grape harvest shall last to the time for sowing. And you shall eat your bread to the full and dwell in your land securely. I will give peace in the land, and you shall lie down, and none shall make you afraid. God is such a benevolent God, filled with perfect and unconditional love for all His creation, both those who love Him and those who reject Him. For those who follow Him, He will heap mercy, blessings, forgiveness and grace richly upon their lives. But for those who reject Him, who hear the truth of love, forgiveness, kindness, selflessness and instead go against the indwelling of the Holy Spirit and continue to live in selfish, prideful, idolatrous, lustful, jealous ways there will be a price to pay. 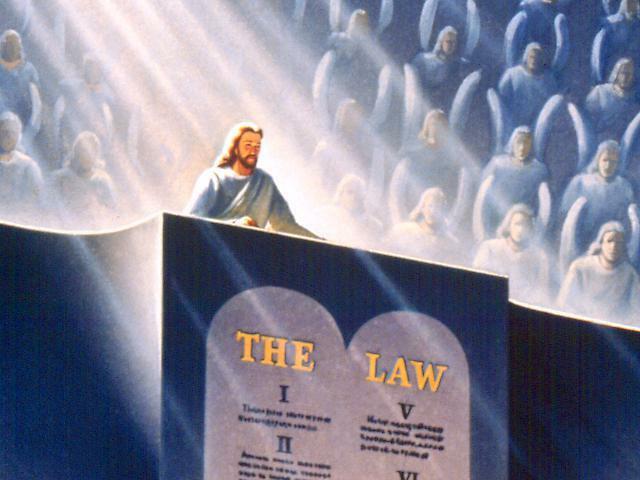 Leviticus 26:14-20 “But if you will not listen to me and will not do all these commandments, if you spurn my statutes, and if your soul abhors my rules, so that you will not do all my commandments, but break my covenant, then I will do this to you: I will visit you with panic, with wasting disease and fever that consume the eyes and make the heart ache. And you shall sow your seed in vain, for your enemies shall eat it. I will set my face against you, and you shall be struck down before your enemies. Those who hate you shall rule over you, and you shall flee when none pursues you. And if in spite of this you will not listen to me, then I will discipline you again sevenfold for your sins, and I will break the pride of your power, and I will make your heavens like iron and your earth like bronze. And your strength shall be spent in vain, for your land shall not yield its increase, and the trees of the land shall not yield their fruit. For me, as I continue to draw closer to God and root out more of my many footholds the devil has had for decades and combat the hurts, hangups and habits of the past, the pain mentioned in Leviticus strikes quickly when old ways surface. Anxiety, worry, physical discomfort like headaches, depression, self loathing, and worst of all a disconnection or a muting of the Holy Spirit which leads to heartache, loneliness and fear. Desires to escape the growing uncomfortable feelings and stress over seemingly overwhelming responsibilities and hopelessness begin to emerge. As the rebellion grows the desire to run from God increases and it becomes harder to pray, to meet Him back at the foot of the cross and repent. All of that pain and confusion is actually a blessing from God which comes from becoming acutely aware of the obedience God declares over His children. When we disobediently do what “we want” by believing there is something in our old life that would make us feel better or add excitement to the routineness of daily living we find we were very mistaken. Rejoicing in the heart and freedom of the spirit are rewards for the those who keep their eyes upon the Lord and earnestly seek His will for their lives, which yes includes being obedient to the commandments which is rooted in love towards God, ourselves and others. One can choose to profess belief but live their old way, God does allow that to happen. It is the greatest waste of the human condition though, for with the power of the Holy Spirit and the forgiveness of sins through His Son on the cross and the teachings of God’s word we have all the armor we need to combat our old ways and desires and the free will to make the good choices that we so want. We are not captives of sin unless we choose to be. We have the power to forgive those who hurt us while it is happening, we are not forced to create and hold on to resentments. We can trust that God is working things out in our lives for the greater good and not get stressed out when things don’t go our way as the events are unfolding, we don’t have to fall into a state of panic, sorrow, anger or rail against events. We are given real-time power and strength, not just “after the fact” understanding. There is of course Good News; God is always ready to forgive, extend grace and blessings and continually offers us His path of righteousness through all situations. Leviticus 26: 40-42 “But if they confess their iniquity and the iniquity of their fathers in their treachery that they committed against me, and also in walking contrary to me, so that I walked contrary to them and brought them into the land of their enemies—if then their uncircumcised heart is humbled and they make amends for their iniquity, then I will remember my covenant with Jacob, and I will remember my covenant with Isaac and my covenant with Abraham, and I will remember the land. To recover from our times of disobedience, whether brief or over a lifetime we simply need to return to Him that created us. We need to return to our part of the covenant and worship the Father and remain obedient in all our ways. We need to rejoice in the Lord for He is mighty to save. He will remember us, not forsake us, and continually offer us the path of salvation, through continual renewal of our vows to follow our God at any price for the rest of our lives, starting with today. As in Leviticus, the restoration may not be to the fullness of blessings we had before. He may heap great blessings upon us but in perfect love, in response to our disobedience, He can take those blessings away. Upon our humble and broken return to the cross He will no longer condemn us thanks only to His unfathomable mercy, but He may not return us to the land we were in! Leviticus 26:43-44 But the land shall be abandoned by them and enjoy its Sabbaths while it lies desolate without them, and they shall make amends for their iniquity, because they spurned my rules and their soul abhorred my statutes. Yet for all that, when they are in the land of their enemies, I will not spurn them, neither will I abhor them so as to destroy them utterly and break my covenant with them, for I am the Lord their God. We are not to test God, we are not to spend time doing what we know we are not to do. God is almost too grace filled for in His incredible patience for us to repent we can find ourselves living complacent lives, doing as we wish with little regard for His desires and will for our lives and with little regard for His commandments. His love will endure forever, but His patience may not. Are we going to trust Him today? Will we desire nothing more than to follow His will for our life and glorify His name with our words and actions? Or are we still focused on the plans we have for ourselves? My prayers for a day filled with gladness in the Lord, that His renewal of mercies and grace fill our vision on our shared journey redemption. Image | This entry was posted in Addiction, Celebrate Recovery, conviction, encouragement, faith, God's story, hope, Recovery, trials and tagged Christianity, conviction, despair, footholds, God, grace, indwelling of the holy spirit, jesus, mercy, obedience, The Law. Bookmark the permalink.